Nothing makes the morning better than a cup of coffee on the balcony or terrace. Even if the weather doesn’t play along at the moment, of course, the matching cup must be provided, because the boring grey cup or one with weird imprint doesn’t do us justice with China gadgets of course. 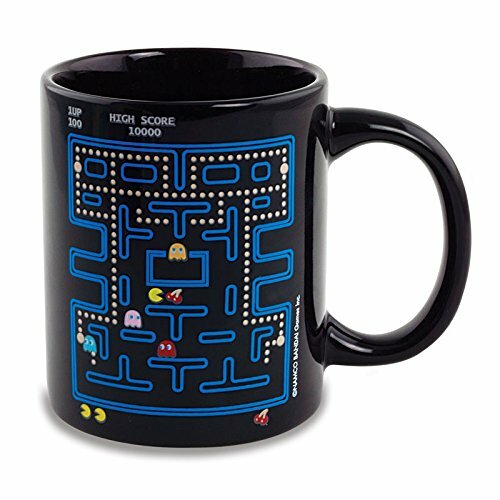 For all retrogamers there is now a heat sensitive Tetris cup and the same principle can be found in the Pac-Man cup. Neither shop has a very good description, but the material is of course ceramics. However, this cup should never end up in the microwave or dishwasher, because this would destroy the imprint and the great effect. The cups hold about 325 ml and thus probably correspond to the understanding of a large cup of coffee.